Choose the base angles for your triangle and complete it by dragging the end points of the sides. (You can also move the end points of the base of the triangle if you wish.) Try and make a second different triangle with the same angles. 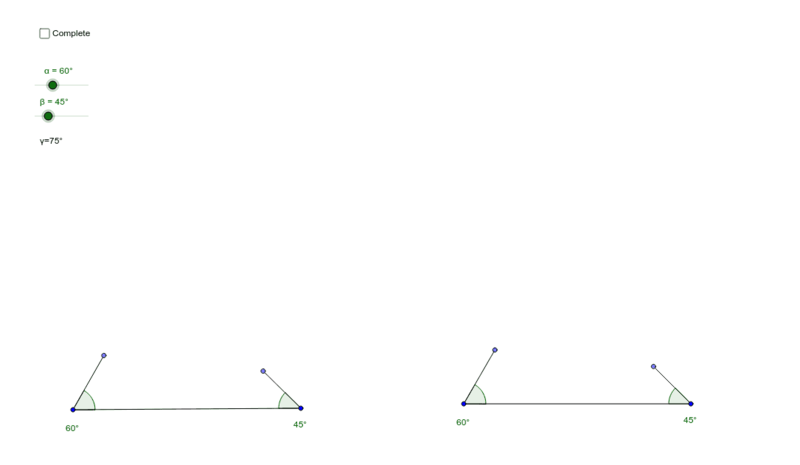 Were you able to make a different triangle with the same angles? If so, how are the two triangles related?